Microsoft has experimented with the possibility of playing Xbox 360 games on the Xbox One via cloud streaming, but it will not roll out this solution because it is too "problematic." Hold on to your current-gen console if you still want to play any Xbox 360 games. As a solution to the Xbox One's lack of backwards compatibility, Microsoft suggested it could stream Xbox 360 games to the Xbox One via cloud streaming. In a meeting this week, Microsoft's product planning director Albert Penello has decided not to move forward with this option because it is "problematic" for consumers. 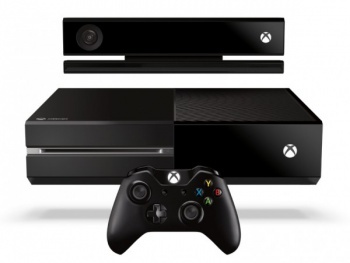 Cloud streaming was too likely to fail for Microsoft to consider using it. "It's really cool and really problematic, all at the same time, insofar as it's really super cool if you happen to have the world's most awesome internet connection," Penello told Polygon. "It works way better than you'd expect it to. So, managing quality of service, the tolerance people will have for it being crappy. Can you imagine, in this day and age, with the bad information around, and we can't control the quality of that experience and make sure it's good, or have to tell people they can't do it?" Network troubles are too common for Microsoft to go through with using the cloud for Xbox One users to play Xbox 360 games. Microsoft's experiment running Halo 4 on a Windows PC and a Windows Phone via cloud streaming demonstrated cloud streaming technology was one solution for offering backwards compatibility. In an uncontrolled environment, Microsoft cannot guarantee that level of success for consumers. "This is one of the things where the network just has to get better before we can do it. When that happens, you're going to have a really interesting conversation around that, can I actually run Xbox One games that way as well." Sony plans to use its Gaikai service to stream older PlayStation games to the PS4. Penello is interested to see how Sony deals with similar network problems making cloud streaming problematic.